Three years ago we posted Stonehenge – the great escape in which we celebrated the fact that at last an end to decades of frustrating delay, indecision and inactivity was in sight. Now, three years later…. well, there’s still cause for celebration. Despite recent suggestions to the contrary the various tunnels that might have permanently damaged the World Heritage Site have almost certainly been consigned to history, thanks to the National Trust, lots of other organisations and the world recession. Hurrah for the banking crisis! Not that everything at Stonehenge is fine. As usual it is enveloped in a fog from which tiny packets of information are occasionally allowed to escape. For instance, three years later and with the first sod ready to be turned we have no idea who the financial philanthropists are or what effect they may have on the project. Nor what the transit system will look like. Nor whether the Summer shenanigans are to be curbed. No doubt the Public will be told when they are deemed worthy, which may be a while yet! 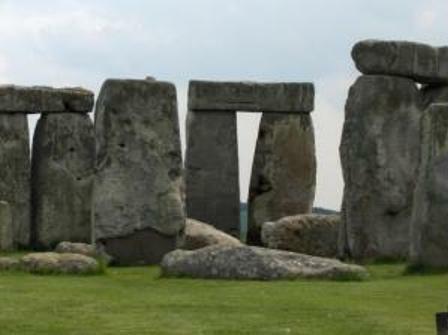 « Stone row at new wind farm “missed by archaeologists” ?